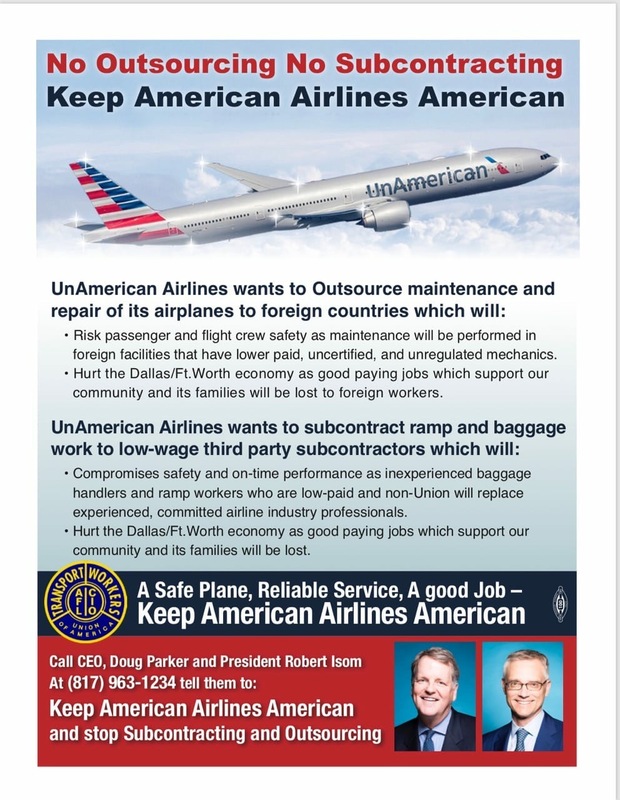 No Outsourcing No Subcontracting – Keep American Airlines American! Our brothers and sisters in the Transportation Workers Union (TWU) are taking a stand against Outsourcing and Subcontracting at American! Please see the poster below and feel free to share with your fellow union members. The IAM stands behind the TWU 100% on their stance against 3rd party work. Tell Doug Parker and Robert Isom that we will not sit idly by and let our jobs be sold. Let’s make our voices count and stand in solidarity with our counterparts at the TWU!